This gaming legend will protect your hard-earned cash! If there is one video game character who knows a thing or two about hoarding vast amounts of coins, it's definitely Super Mario. 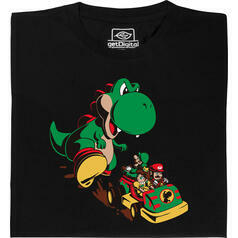 After all, it's the only thing he does... well, besides stomping Goombas and other enemies into the ground. 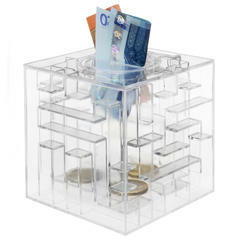 Given his expertise, we've consulted with the Italian plumber to develop the Nintendo Game Boy Money Box. 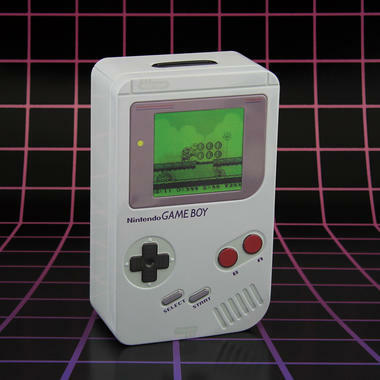 The result is a sturdy coin bank modelled after the one and only original Game Boy with a "display" that consists of a lenticular Super Mario image. By moving the box, you can make the moustachioed plumber jump across the "screen". Even the score on the bottom of the image gets updated whenever Mario collects a coin! You can deposit your real-life cash through a reinforced slot on top of the box; for a withdrawal, you only need to remove the front cover of the Game Boy. 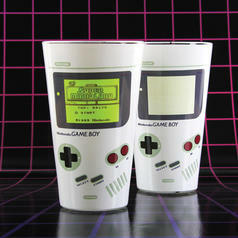 6,95 € lade... Nintendo Game Boy Colour Changing Glass With a cold soda, you can do the next Speedrun! 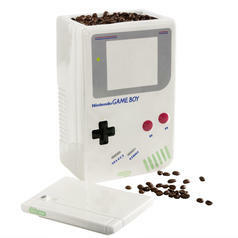 49,95 € lade... Nintendo Game Boy Cookie Jar / Coffee Canister Tetris? Never heard of it. I only play 'snack-ris'! 19,95 € lade... Geldlabyrint spaarpot Deze spaarpot kan je alleen openen door het kogeltje door het ingewikkelde labyrint te leiden. 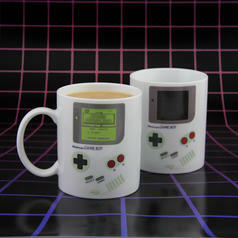 12,95 € lade... Nintendo Game Boy Heat Change Mug Travel back to your childhood with this fun mug! 15.03.19 vanaf 22,95 € lade... Fair Geekwear Jurassic Kart T-Shirt Video games, dinosaurs and theme parks - what could go wrong?